Boulder International Film Festival: Anger over women's health scandal: BIFF and "Pink Ribbons, Inc."
Anger over women's health scandal: BIFF and "Pink Ribbons, Inc."
ARE YOU INCENSED over the decision announced Tuesday by the organization Susan G. Komen for the Cure Foundation, the group that co-opted and capitalized the iconic "pink ribbon" to support awareness and preventative treatment for breast cancer, to halt its funding of those efforts by Planned Parenthood? Here's a link to the story -- many advocates say that Komen caved in to pressure from right-wing groups who oppose a woman's right to choose . . . even if cutting off funds will make those women sicken and die. If so, you must see the feature documentary we have scheduled for BIFF 2012. 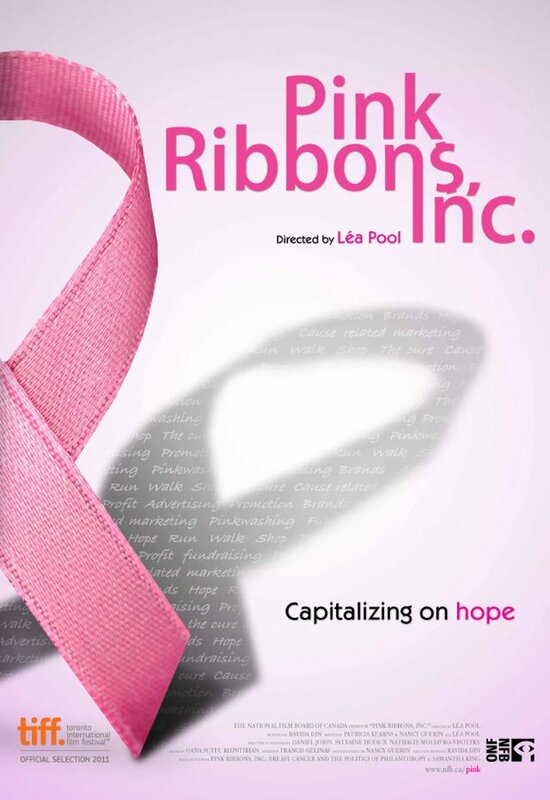 "Pink Ribbons, Inc.," directed by Lea Pool, will receive its Colorado premiere at BIFF on Saturday, Feb. 18 at 12:15 p.m. at the First United Methodist Church, 1421 Spruce St. This hard-hitting film blows the pink lid off of corporate"Pink Ribbon" marketing campaigns for breast cancer. Labeled a"dream cause" by marketing experts, the ubiquitous Pink Ribbon hasbeen hijacked by companies as diverse as Yoplait, Ford Motors and Kentucky Fried Chicken as a tool tosell their products. But where does this money go? Research has stronglysuggested that estrogen-imitating food and cosmetics additives are some of thecauses of the breast cancer explosion, yet the boards of cancer foundations aredominated by the very corporations that sell and deliver these products. Findout about the daily realities of breast cancer treatment, far below the pinkcloud of corporate double-speak, and see what you can do to change it. This movie is part of our 14-film Call 2 Action package -- where we provide you with access, dialogue and tools to make change happen NOW. This screening is co-presented by the Dr. Susan Love Research Foundation's Army of Women Program, and will be introduced by Vicki Tosher, president of the Colorado Breast Cancer Coalition. Movies like "Pink Ribbons" are important to put on society's radar. That's a huge part of why we put on BIFF, and why we act through our Call 2 Action program to empower YOU to raise your consciousness and change your world with the help of the power of film. Let's see if we can sell out this screening TODAY! BUY TICKETS ONLINE AT WWW.BIFF1.COM! Finally, awareness. I have never supported these organizations. I support women. The Front Range Catering Co.